Malawi’s soils, waters, forests, wildlife, fisheries, and other natural resources are being harvested and degraded at rates exceeding their ability to regenerate and replenish. Widespread poverty, low education levels, and epidemic diseases such as AIDS and malaria force many rural households to use a survivalist strategy in their interactions with natural capital assets. The assets are being liquidated rather than enjoying reinvestment, as harvesters must use the meager incomes to meet today’s needs. The prospects for long-term wealth generation from these assets—and the biodiversity that underpins the natural capital base—rely on transforming the relationships that households, villages, and society have with their natural resources. COMPASS II identified natural resource-based products that had the potential to provide business oportunities for HIV-affected and other marginalized households (such as those headed by women or youth). Identify products that have robust domestic and external markets and the possibility of significantly increasing the income of hundreds or thousands of households. Once products are identified, compile the best available technical information into easily accessible formats (radio, print, video, drama) and disseminate it as widely as possible, including to specifically targeted communities where opportunities for transformative utilization of and reinvestment in natural resources are greatest. Amplify the effect of the informational materials by working at other leverage points along the value chains, such as input supply, product consolidation and distribution, value-added processing, and market functionality. Established community mapping and land-use planning as the basis for management decision making by communities, with technical support from government extension personnel. Being able to show all community members the “picture” of management plans makes them more accessible to all affected parties, increasing shared decision making (and reducing conflict). 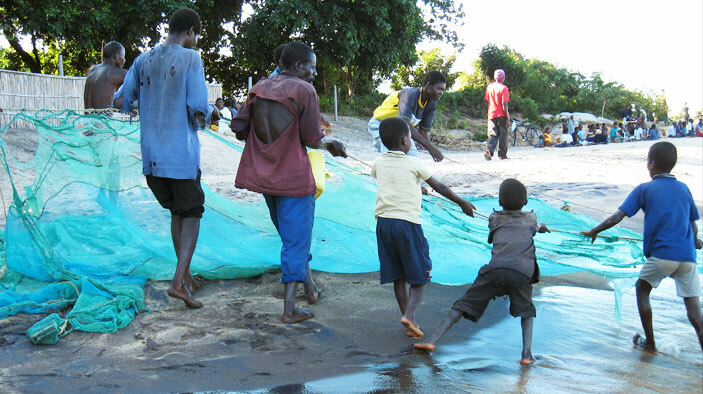 Trained 8,700 participants in community-based natural resource management—217 percent more than the original target. Helped 2,405 communities adopt community-based natural resource management practices—214 percent more than the original target. By the end of the project 348,704 hectares of land in areas of biological significance were under improved management—118 percent more than the original target. More than 230,000 hectares of community-managed apiaries were demarcated for safeguarding across several protected areas and forests. Developed and disseminated producer-level extension materials that focused on moving subsistence producers toward small-scale commercial businesses relying on natural products. By combining this approach with parallel efforts to mobilize a private sector extension service, as well as business service providers within one day’s travel from rural producers, the project increased production volumes and quality to levels that build foundations for a sustainable industry that can compete regionally and export globally. Designed a mechanism to make capital available to small-scale commercial producers and other parts of the value chains.